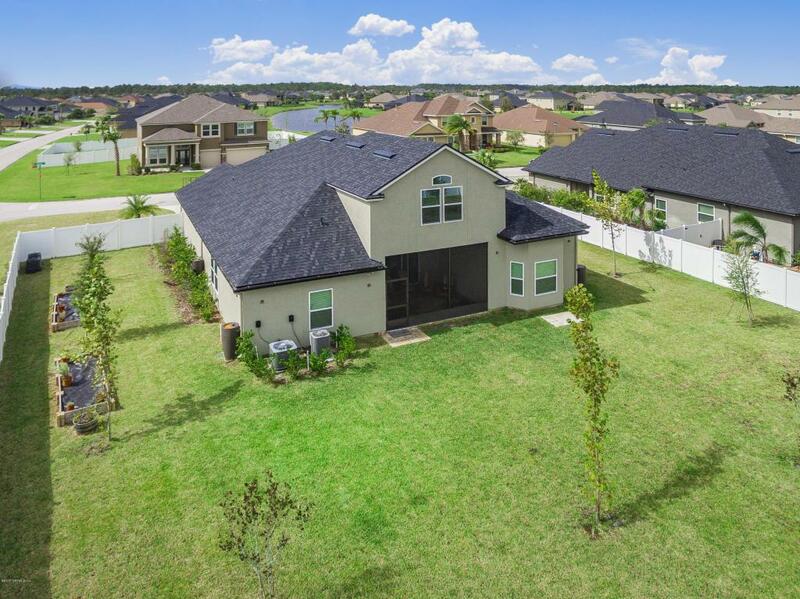 Spectacular corner lot 5BR/4BA home is waiting for you! 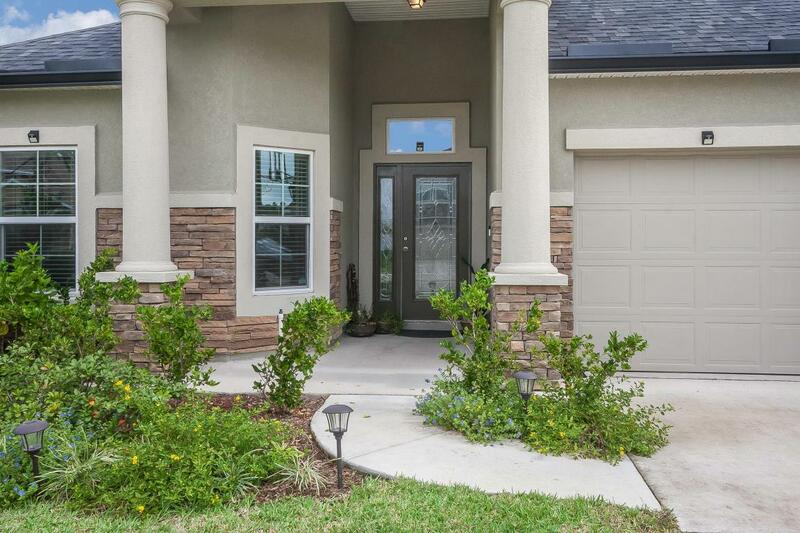 Home features stucco w/ledgestone front, pendant lighting, gourmet kitchen with granite counters, crown molding, water filter system, fans in all rooms, walk-in closets, beautifully tiled showers, security system/video and app for your phone. Master closet and washer and dryer area with auto light system. 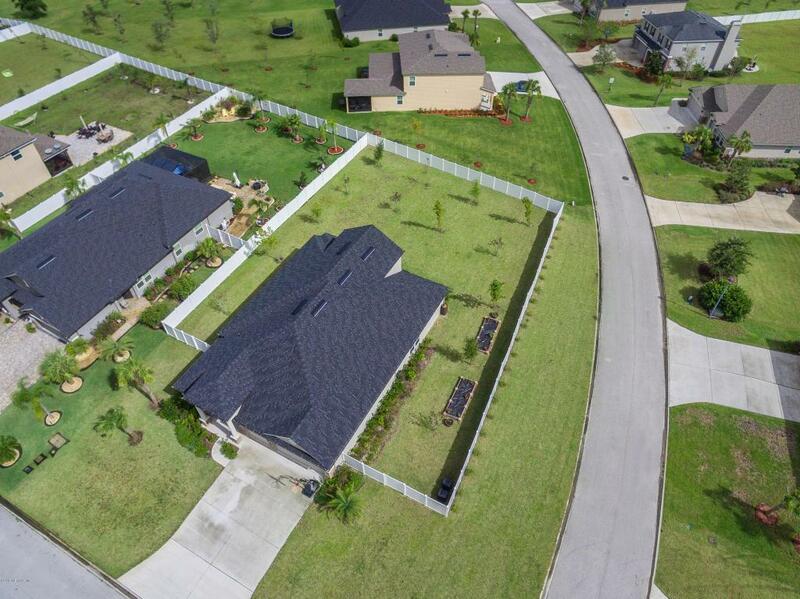 Large fenced backyard w/garden boxes ready for your favorite herbs to be planted. Screened lanai w/slate flooring. Murabella is a truly unique living experience with community pool for lap swimmers and children pool area with triple slide, and endless amenities such as: sand volley ball, basket ball, baseball, lit tennis courts, jogging trails and playgrounds. Location is perfect! 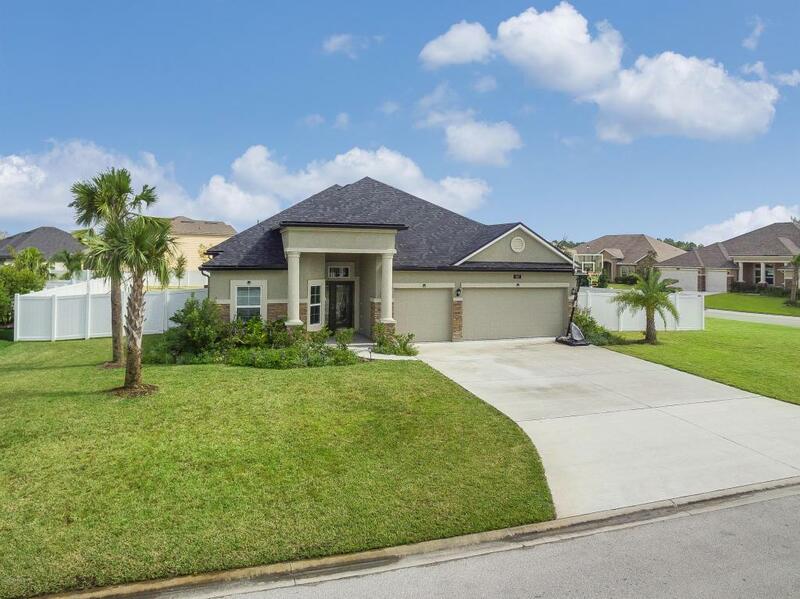 Great schools, beach, and shopping all close by.